The gap between rich and poor in rich countries has risen in the last 30 years. Allegations that the middle income class is vanishing are also rising. What explains both? Should we be worried? 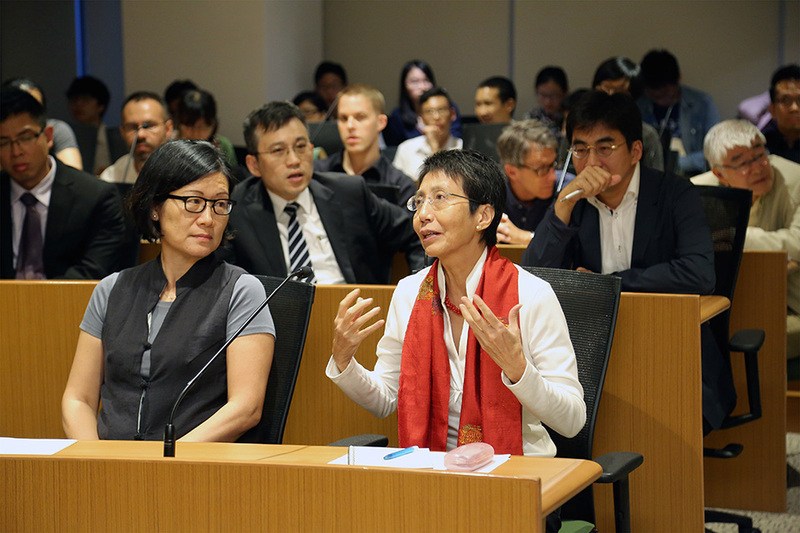 The lecture focuses on the role of education, housing, divorce, and remarriage to provide a rich interplay of micro factors to give a fascinating account of the changes in Hong Kong. Placing these micro factors in the larger context of macroeconomic changes illuminates the real role played by globalization and China’s opening in this process. The discussion of Hong Kong sheds light on the issue of the rising income gap and the vanishing middle class to focus on the challenging issues we face today. Professor Richard Y.C. 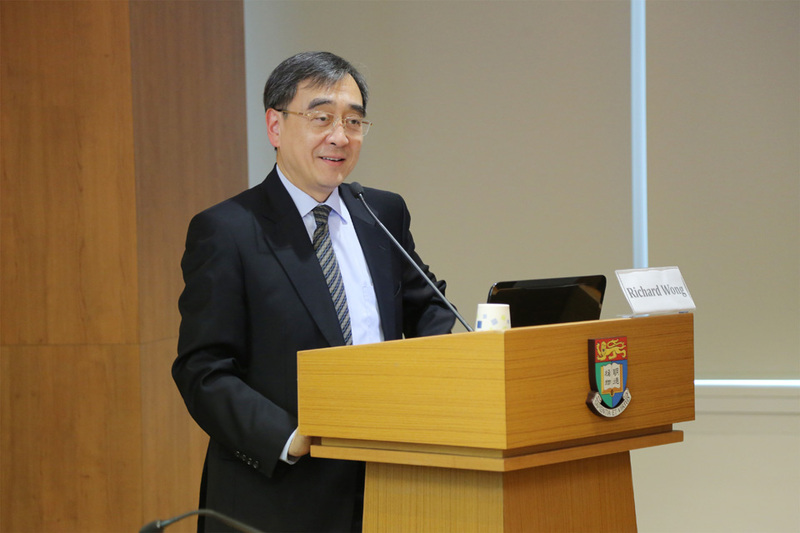 Wong is a leading economist who has provided valuable public service and led pioneering studies in the evolution of Hong Kong and the Mainland. He joined the School of Economics and Finance in 1992 and later served as Director of the School of Business, Founding Dean of the Faculty of Business and Economics, and then Deputy Vice-Chancellor and Provost of the University. He has also served on numerous public bodies including the Exchange Fund Advisory Committee and Housing Authority. 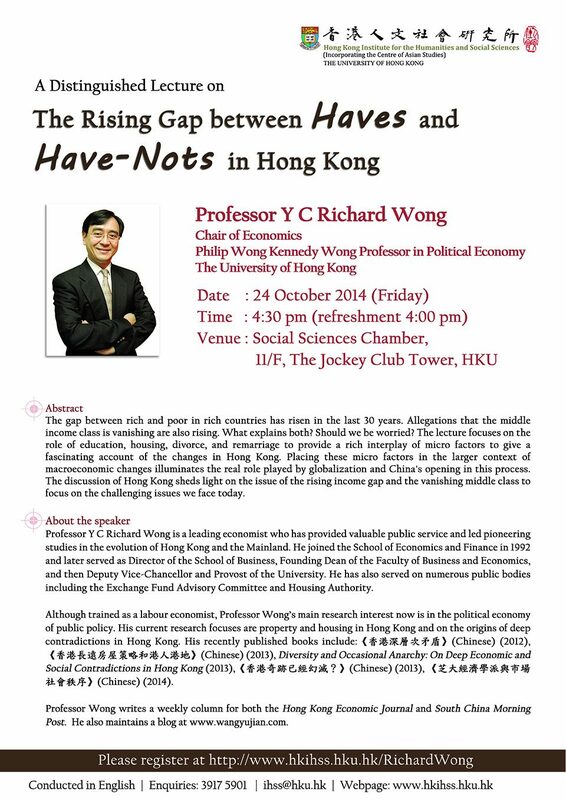 Although trained as a labour economist, Professor Wong’s main research interest now is in the political economy of public policy. 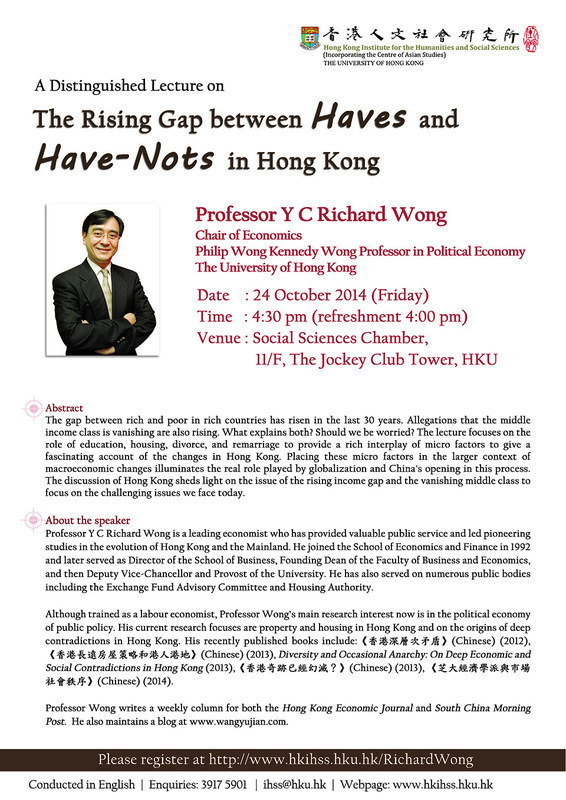 His current research focuses are property and housing in Hong Kong and on the origins of deep contradictions in Hong Kong. His recently published books include: 《香港深層次矛盾》(Chinese) (2012), 《香港長遠房屋策略和港人港地》(Chinese) (2013), Diversity and Occasional Anarchy: On Deep Economic and Social Contradictions in Hong Kong (2013),《香港奇跡已經幻滅?》(Chinese) (2013),《芝大經濟學派與市場社會秩序》(Chinese) (2014). Professor Wong writes a weekly column for both the Hong Kong Economic Journal and South China Morning Post. He also maintains a blog at www.wangyujian.com.